Properties in Seascape Resort average 4.5 out of 5 stars. Property 1: Seas the Day! - Ariel Dunes II - Breathtaking views! Sleeps 8! Property 2: SeaHorse Haven -Summer Specials! Steps to the Beach! Summer Specials! Miramar Beach Condo Steps from the Emerald Coast. Property 3: Summer Specials! 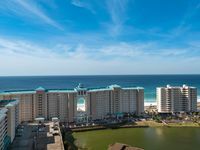 Miramar Beach Condo Steps from the Emerald Coast. Roomy high-rise condo w/ ocean views & shared pool access - snowbirds welcome! Property 4: Roomy high-rise condo w/ ocean views & shared pool access - snowbirds welcome! Very Popular 2BR Deluxe, Incredible Reviews! Oceanfront, Enjoy Large Balcony!! Property 5: Very Popular 2BR Deluxe, Incredible Reviews! Oceanfront, Enjoy Large Balcony!! #1 Rated! Unbelievable Views, Spring & Summer booking now! Owner-operated! Property 6: #1 Rated! Unbelievable Views, Spring & Summer booking now! Owner-operated! Gorgeous 17th floor condo, Spring Break open due to cancelation! Property 10: Gorgeous 17th floor condo, Spring Break open due to cancelation! Adorable fully renovated condo, across the street from the beach. Books fast! Property 15: Adorable fully renovated condo, across the street from the beach. Books fast! Property 17: Lovely Condo @ Seascape Beach & Resort! Majestic Sun 1108A - Updated Unit, Great Gulf Views, Community Pool, Hot Tub! Property 18: Majestic Sun 1108A - Updated Unit, Great Gulf Views, Community Pool, Hot Tub! Majestic Sun 1111B - Amazing Views! Indoor/Outdoor Pool! Seascape Resort! Property 22: Majestic Sun 1111B - Amazing Views! Indoor/Outdoor Pool! Seascape Resort! Majestic Sun 408A - Gulf Views! Miramar Beach! Indoor/Outdoor Pools! 2 Hot Tubs! Property 23: Majestic Sun 408A - Gulf Views! Miramar Beach! Indoor/Outdoor Pools! 2 Hot Tubs! Property 24: "Ariel Dunes I 507" Gorgeous Views of the Gulf!! Extra Large Balcony! Ariel Dunes 1708. Wonderful Gulf views!.Same day booking available! Property 27: Ariel Dunes 1708. Wonderful Gulf views!.Same day booking available! UNIT 1203! OPEN 4/6-13 NOW ONLY $1182 TOTAL! LOTS OF AMENITIES HERE! Property 28: UNIT 1203! OPEN 4/6-13 NOW ONLY $1182 TOTAL! LOTS OF AMENITIES HERE! Beautiful & Updated ~ Beach access ~ FREE GOLF!!! Property 29: Beautiful & Updated ~ Beach access ~ FREE GOLF!!! Great activity amenities ~ Easy Walk to the Beach!!! Property 31: Great activity amenities ~ Easy Walk to the Beach!!! Prime Miramar Beach Condo w/ Pool & Beach Access! Property 33: Prime Miramar Beach Condo w/ Pool & Beach Access! Majestic Sun 804B - Spectacular Gulf View! Indoor/Outdoor Pool! Seascape Resort! 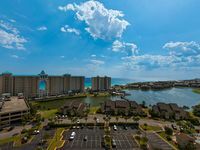 Property 34: Majestic Sun 804B - Spectacular Gulf View! Indoor/Outdoor Pool! Seascape Resort! Majestic Sun 204B - Gulf Views, Indoor & Outdoor Community Pool, Hot Tub, Gym! Property 36: Majestic Sun 204B - Gulf Views, Indoor & Outdoor Community Pool, Hot Tub, Gym! Family Friendly, 3 Bdrm/2 Bath Golf Villa Condo near Pool! Property 39: Family Friendly, 3 Bdrm/2 Bath Golf Villa Condo near Pool! Ariel Dunes 1003. Reduced rates. Newly Remodeled Same day booking available! Property 40: Ariel Dunes 1003. Reduced rates. Newly Remodeled Same day booking available! Ariel Dunes I 1808 - Seascape Resort! Gulf Views! Community Pool! Onsite Dining! Property 41: Ariel Dunes I 1808 - Seascape Resort! Gulf Views! Community Pool! Onsite Dining! Property 42: 15% OFF Now-5/25/19! BEACH VIEW @ Resort! Pool~2 Hotubs~Gym + FREE VIP Perks! Fairway Haven 30C ~ Golfer's Retreat! ~ Summer Specials! Property 45: Fairway Haven 30C ~ Golfer's Retreat! ~ Summer Specials! 15% OFF Now-5/25/19! DLX BEACH VIEW @Resort! Pool~Hotub~Gym + FREE VIP Perks! Property 47: 15% OFF Now-5/25/19! DLX BEACH VIEW @Resort! Pool~Hotub~Gym + FREE VIP Perks! Property 48: Come down and visit us in May! Book now before it's gone! Property 50: Cozy One Bedroom/One Bath unit only steps from the Beach!